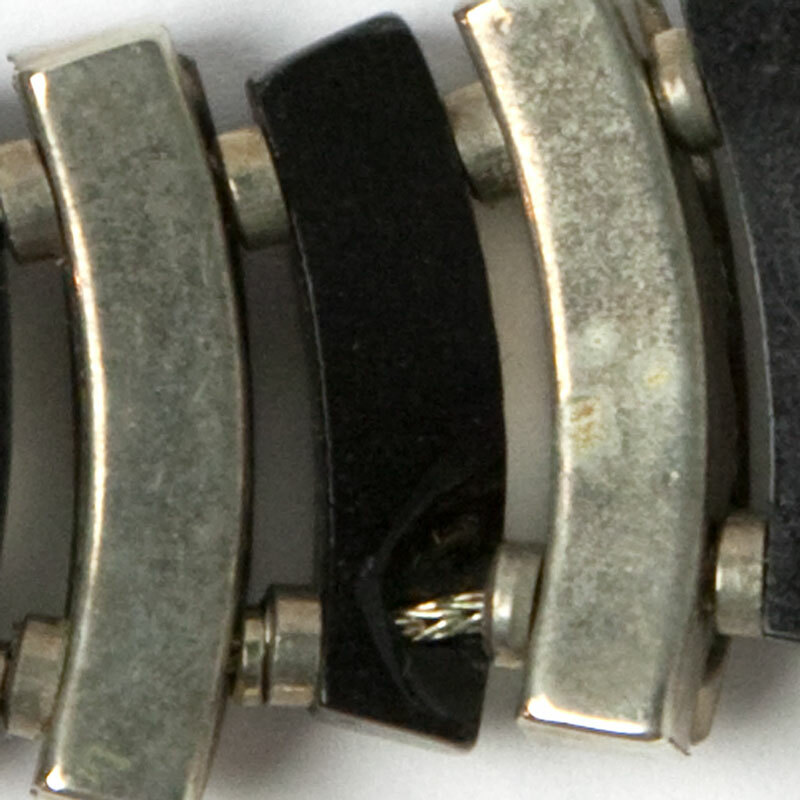 This vintage Bakelite necklace is probably from Germany. 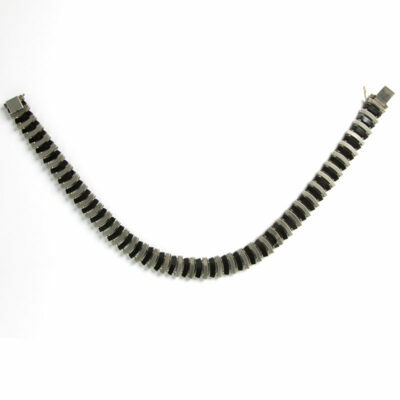 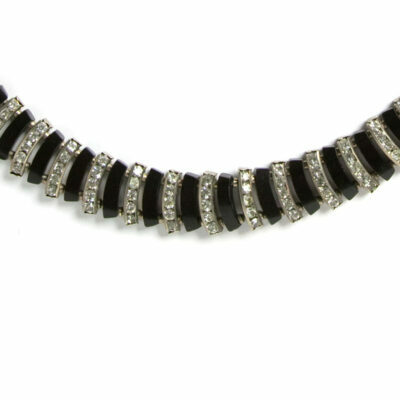 It has curved links of black Bakelite alternating with slightly larger curved links of channel-set diamanté. The components are threaded on a chain with metal spacers between each link. 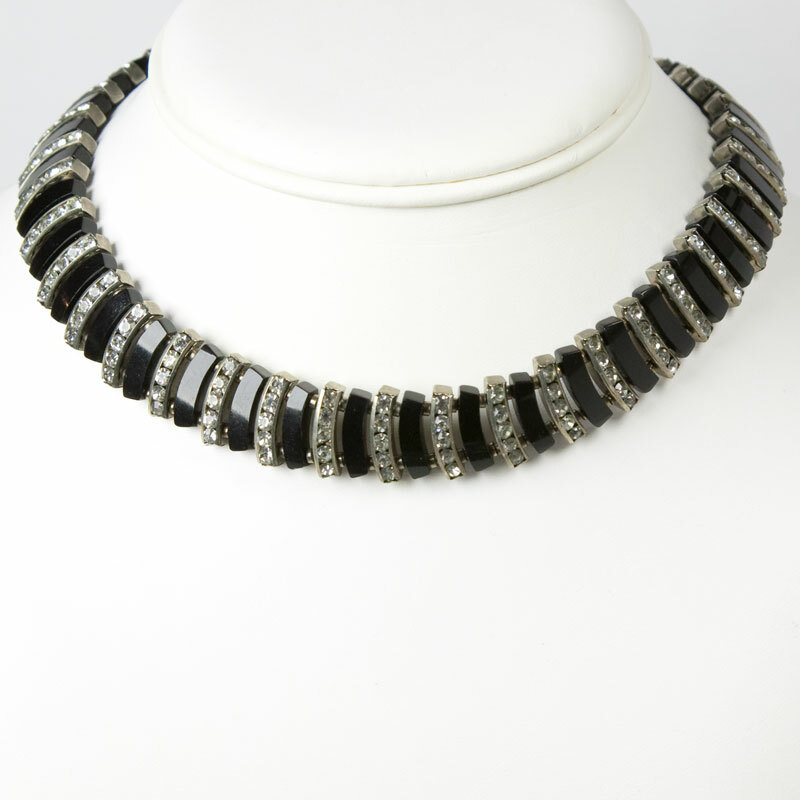 When laid out on a table, the necklace retains a slightly curved shape. The back of one of the Bakelite links has a small chip (shown in the last photo), but the appearance and integrity of the piece have not been compromised. 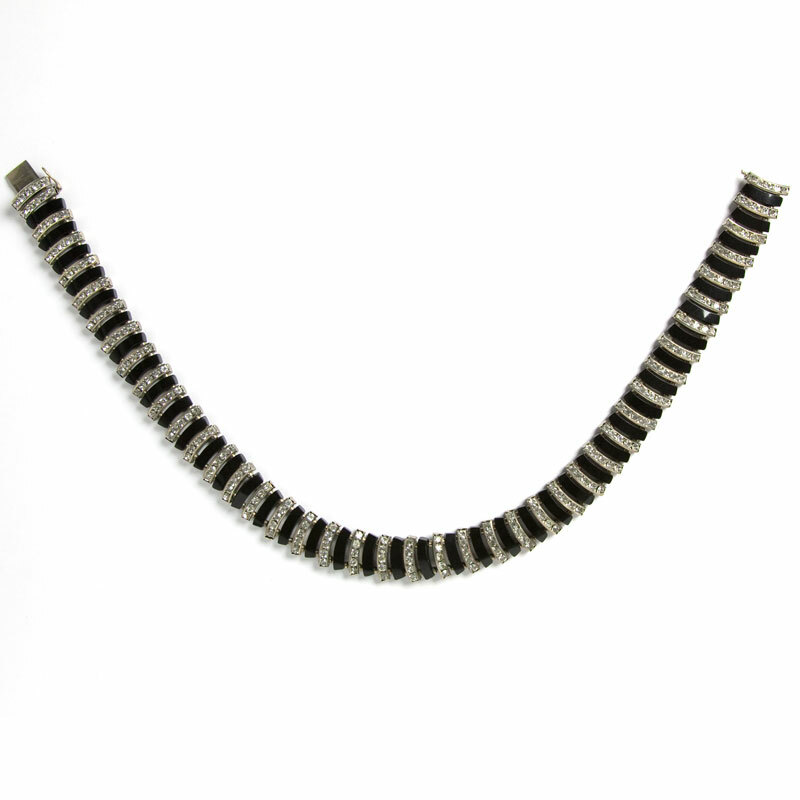 This necklace was made for a slim neck, so please note the length (14 3/4″) and check your neck size before purchasing this piece. 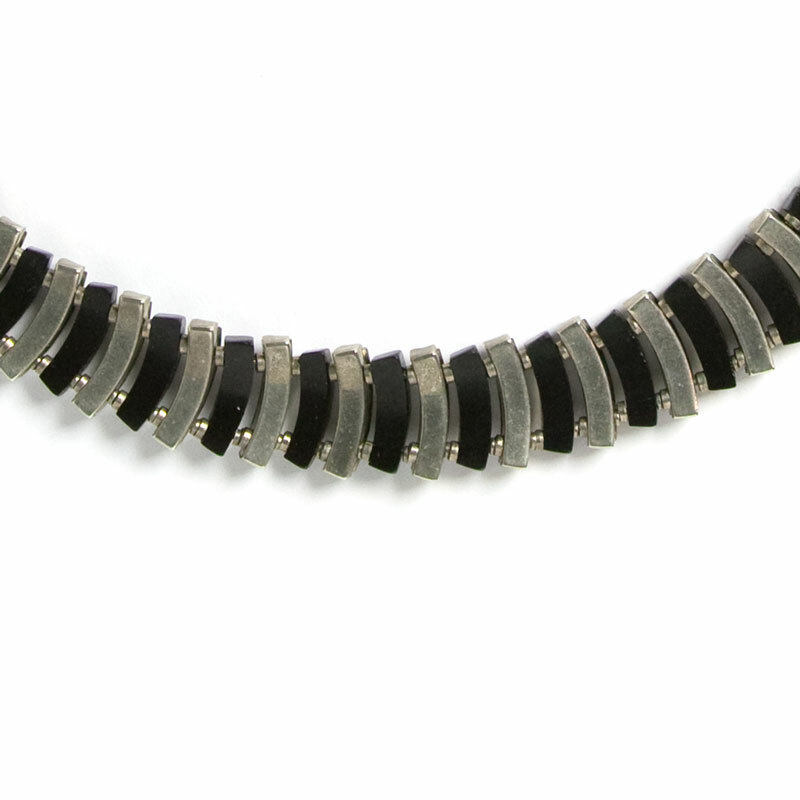 The look of this necklace is Machine Age and very classy. 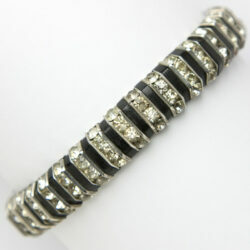 Scroll down to see the perfect bracelet to wear with it.